Plate Solving cannot be much easier than this. * Blind plate solving uses the services provided by astrometry.net. Its performance varies widely, taking anywhere from a few seconds to several minutes per image. Time compression was used for parts of this video. 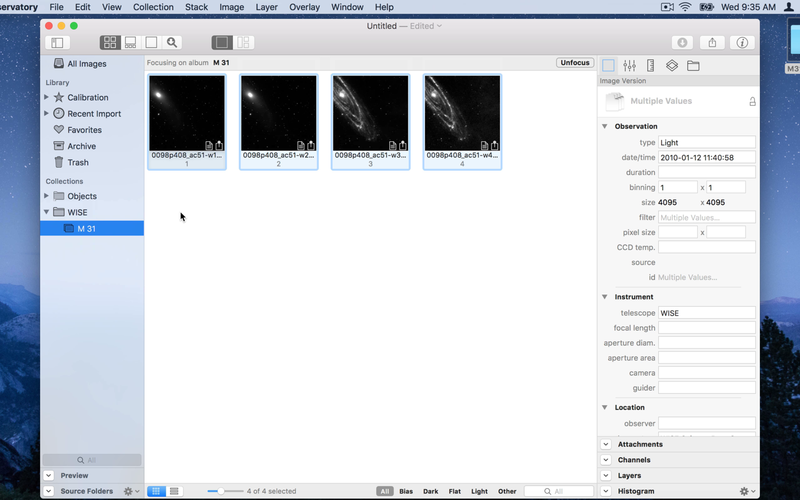 Create master calibration frames, then use them to calibrate images. Normalize, align and stack them, and finally, plate solve and automatically tag the result. 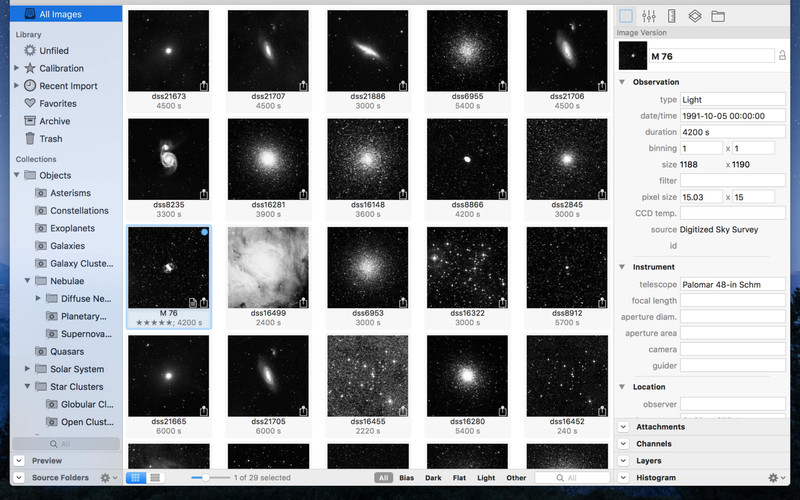 Automatic tagging of plate solved astronomical images by object category and identifier. 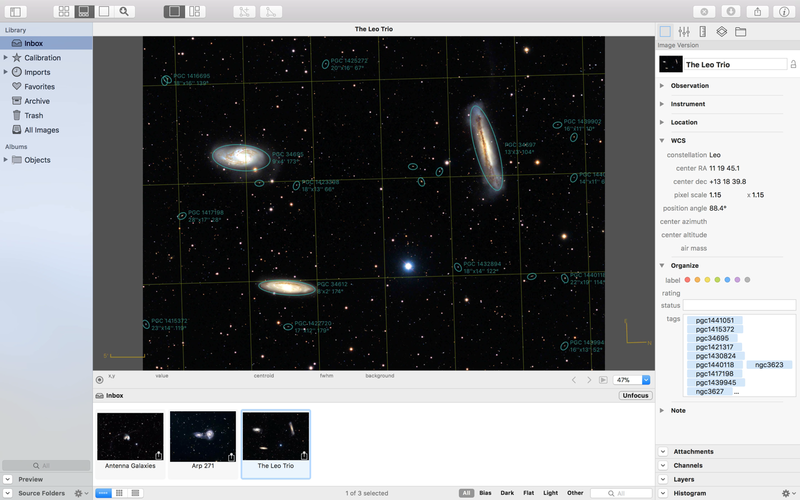 Observatory has Quick Look and Spotlight plugins for FITS, XISF (PixInsight) and SBIG images. 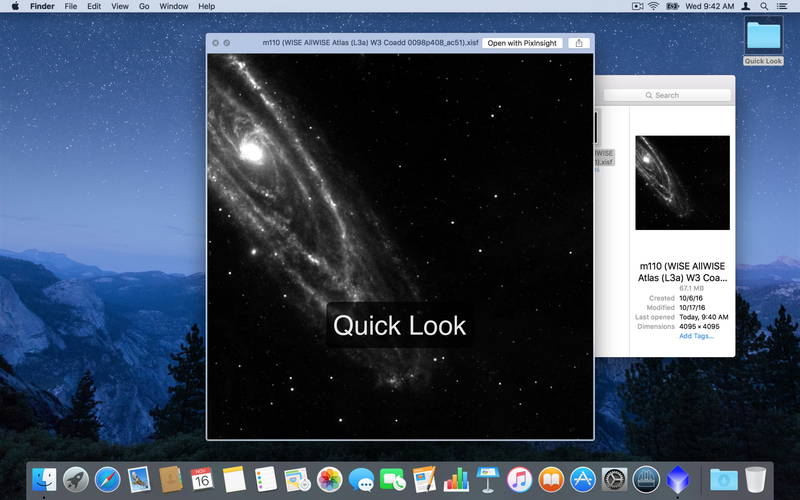 It lets you view an image by selecting it in Finder and then pressing the spacebar. There’s no need to wait for the image to open in an application. 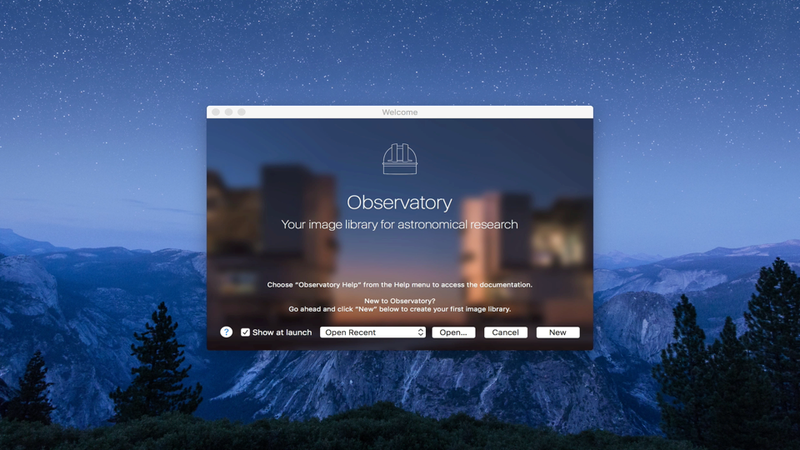 Drag & Drop makes it easy to create and organize Observatory libraries. 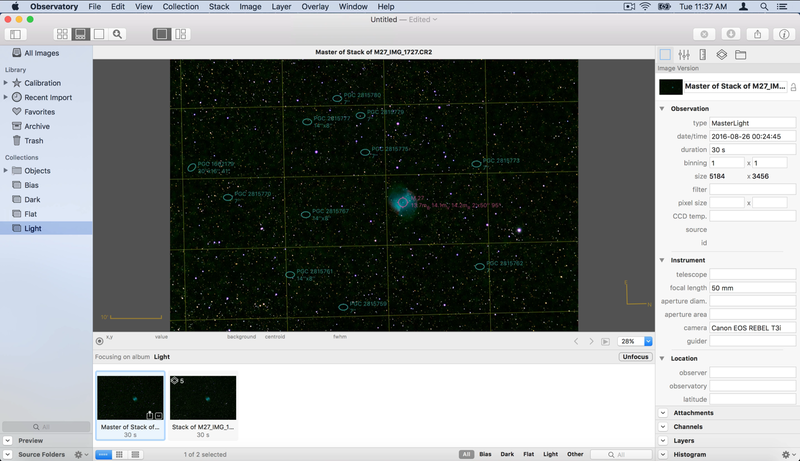 In this video, the Hubble Legacy Archive is queried for images of the Crab Nebula (M 1), a supernova remnant, and two ACS/WFC FITS images are downloaded and imported into a new library.